We LOVE fall here at Lake Country Family Fun! Maybe it is the costumes, maybe it is the crisp air, the opportunity to enjoy the outdoors before it becomes frighteningly cold….what ever it is, we just love it! Southeast Wisconsin Pumpkin farms are all over and such a great family adventure. We have compiled our list of fun pumpkin patches and farms in Lake Country, Waukesha County, and all over Southeast Wisconsin (even one in IL)! 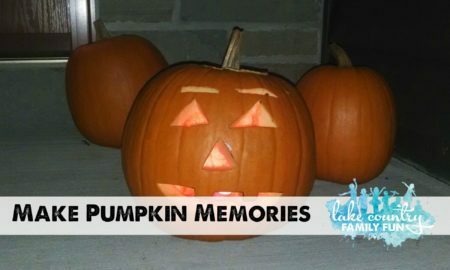 We have ventured all around for pumpkins for our family, and here is a list of all things fall and pumpkins. We hope you enjoy this guide, and have fun making memories with your children. For more fall fun, make sure you check out Lake Country Family Fun’s other fall guides here! Dates open to the public: Saturdays and Sundays from September 29th to October 28th, 2018 from 10:00 am to 6:00 pm. No reservations necessary. Field trips available during the week by appointment. They have a family friendly corn maze, barnyard animals, baby chicks, “I Spy Hayride”, Children’s Exploration area, pumpkin patch, pre-picked pumpkins, gourds, squash, straw bales, cornstalk bundles, and other fall decorations. This is a favorite by our family, it is simple and perfect for getting out and picking your own pumpkin, going on a hay ride, or doing the corn maze! There are pumpkins pre-picked as well! They will be open for the 2018 season on Saturday September 29th. Weekends 10am – 6pm and weekdays noon-6pm. They also have family-friendly flashlight maze on Friday and Saturday nights in October, last entrance to the maze 9pm. This is a real working dairy farm! Take a hay ride for $3 per person and $2 for those under 10. Fall Season runs September 22 to October 31, 2018, every day 9:00 a.m. to 7:30p.m. Go visit the smiling barn! There is a pumpkin patch, apples to be picked, and a corn maze to explore. There are train rides (through East Troy Railroad), pony rides and hayrides available for purchase. Orchards are open on weekends only September 8 – October 21, 2018. Take a hayride, pick a pumpkin, visit with the friendly animals, and more! Join in the fall fun! Fall 2018 dates TBD. Welcome to the Lindner Pumpkin Farm Located nearby in New Berlin WI. At the Lindner Pumpkin farm you can expect fun and friendly service with activities for all ages without having to worry about spending too much. Families will love the large assortment of animals in the petting zoo, plentiful pumpkins, kids games, pumpkin express barrel train and a corn maze for all ages is sure to be a good time. Starting September 24th, 2018 and open daily 10-6 through the 31st of October. No admission fee and parking is free. Activity costs vary but bring food donation for New Berlin food pantry for $1.00 off. You can’t go wrong at this farm! 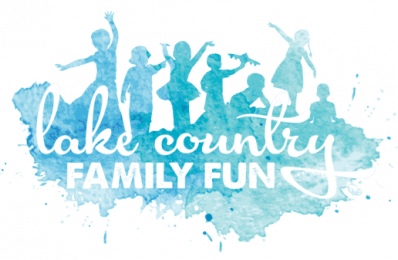 You can interact with the animals, play in the corn and straw, sit on the antique tractors, take in a puppet show, scurry down the rabbit hole slide, sway on the pony swings, conquer the corn maze & enjoy yummy food and drinks. Opens the weekend of September 22, 2018 10:00 am – 5:00 pm, Saturdays and Sundays, through October 28, 2018. Come on out to Jelli’s to pick your own pumpkins, get lost in a corn maze, make and take craft, and more! Our FREE fall activities offered for the little ones include our selfie scavenger hunt, lawn jenga, connect four, corn bag toss, pumpkin checkers, tic-tac-toe, corn box and everyone’s favorite, Angry Birds For Real slingshot game! For those a little bit older, we have a corn maze and “amazing race”. Barrell train rides for $1 on weekends. Open daily 9-5pm. Not only can you take a hayride to the pumpkin patch and wind your way through their “a-mazing” corn maze, you can visit their delightful story theatre, ride the “Ebert’s Express” train and play one of their fun games! Caramel apples, pumpkin pie and apple cider are just some of the yummy treats to enjoy too! It’s beautiful here in the fall – camera is a must! Fall activities start October 6th and continue Saturdays (9-6) and Sundays (10-6) in October. The fall 2018 season starts on September 22 and goes through October 27th. Open 11-4 every weekend. At Glacier Rock Farms, they get up close with many of the animals. Try catching a chicken! Go on a hayride and more! The fall 2018 season starts September 22! There are over 50 attractions! The farm boasts a train ride, hay rides, barnyard buddies, pumpkin peddlers, a hay barn, gemstone mining, pumpkin launch, trike track, face painting, mini gold, fish pond, underground slides and more! Bring your family to Pumpkin Fest: hay wagon rides, corn maze, train ride, corn bin, pig races, and more! Open September 22 – October 31, 2018. Saturdays and Sundays 10:00 – 5:30 pm. Weekdays 1:30 – 5:30 pm. There is a critter park, pick your own pumpkins, spooky wagon rides, creepy cornfield and much more to do! 2018 season opens September 14th except for the wagon rides which start the 28th. Everyone gets to go out into the pumpkin patch and choose their favorite–FREE with admission into the farm! There is plenty here to make a whole day of fun on the farm. Opens September 22 for the 2018 season. Thousands of pumpkins, a corn maze, feed the animals, barrel train rides, bounce houses, face painting and more on the weekends! They plan to open on Friday, September 28th through Halloween. Open 10-6 weekends and 12-6 week days. The fall fun starts September 15th! Family Fun Weekends will be October 13/14 and October 20/21. 8 acre Corn Maze, Hayrides, Make your own Caramel Apple, Pumpkin Picking, Petting Zoo, Giant Corn Box, Story Theater, Children’s Play Area, and Stuff a Scarecrow, Fall Crafts/Games, Bounce House, Helicopter Rides and much more. Admission is FREE to come to Smith’s Pumpkin Farm and enjoy the over 70 hand painted Pumpkin characters, Nature Trail, Playground, The Towne and Mini Farm Zoo. There are also many fun and crazy attractions that have a small fee. Fall attractions start September 15th! Swan’s Pumpkin Farm is located in Franksville, Wisconsin. Fun for all ages! Free admission. Free parking! Making pumpkin time the best time for 40 years! Opens September 8th for the season. Get lost in a Cornfield Maze! Take a beautiful Hayride through the rolling farmland to choose your perfect Pumpkin, from fields of orange! Hitch a ride to the Haunted Forest or round up a group of friends for a toasty Bonfire! Open September 22 – October 31st, 2018. Plus, pumpkin destruction day on 11/3. Maze preview season opens September 1, 2018. Hayrides, pumpkins, caramel apples, kettle corn, pumpkin slingshot, all those must-do fall activities. Food, games, hayrides, pumpkin patch all open on the weekend of 9/28/ 2018! Patch 22 Farm – 15900 Kelly Rd. Wadsworth Il. 60083 (on border with Wisconsin). There is no charge for admission or parking. They offer pony rides, hay rides, and a petting farm. During the fall, they have thousands of farm-grown pumpkins with lots of variety and exotics! They also carry corn stalks, straw bales, hay bales, gourds, ornamental corn, and taffy apples. Refreshments are available while you browse and enjoy the surroundings. They will be open Saturdays and Sundays only from 10 am – 5 pm in September and October. Do you have a pumpkin farm to add? 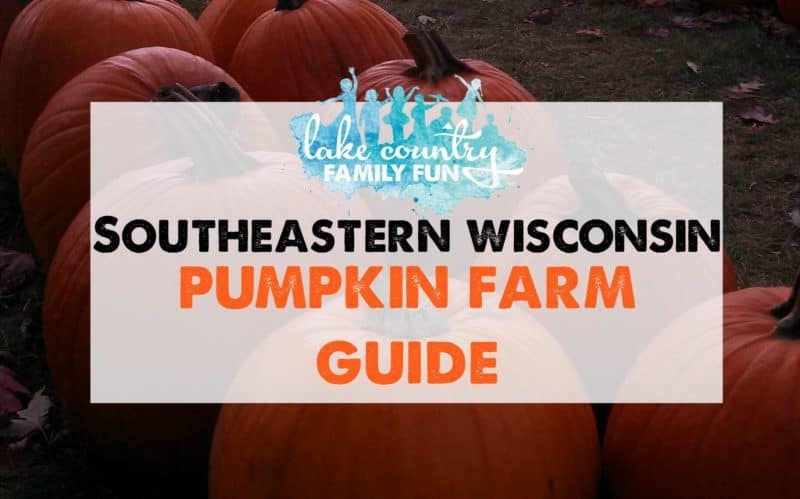 If you have a pumpkin farm to add to our Southeast Wisconsin Pumpkin Farm Guide, please email us at erin@lakecountryfamilyfun(dot)com with your pumpkin farm information. You can also email us via the contact form.